The game is set only a few years in the future (2019) and puts players into the role of hired mercenaries as they try to fit over the huge mineral wealth in the fictional game world of Zandia. You’re squad of mercenaries wasn’t the only guns for hire in this region which has led to a huge all out war between the countless mercenary groups. Story wise this simple game setup serves its purpose perfectly by providing the backdrop for the endless war that awaits you in this strategy game. It’s not a story that you’ll worry about much once you are actually playing the game though, although that is fairly common for a game within this genre. 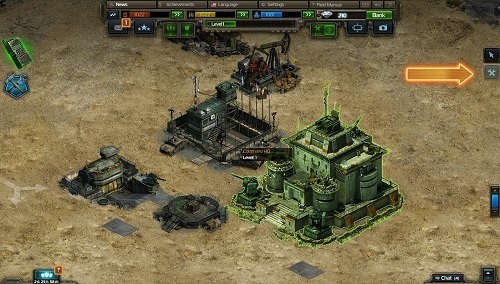 Soldiers Inc. gets right into the gameplay and after knocking off one of the better tutorials in this space you’ll have all the tools at your disposal to develop an outpost that will serve as the heart of your operations. Maybe you’re an aggressive player that likes to send out multiple raiding parties at once or prefer to develop your defences instead and play a more strategic game. 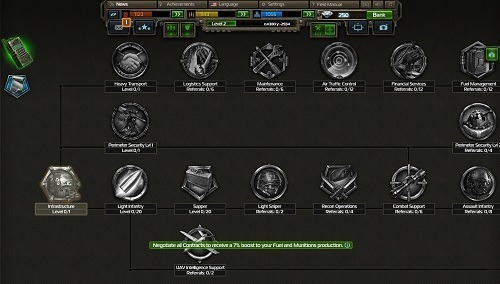 In Soldiers Inc. there is room for both kinds of players as you choose from endless combinations of troops and buildings that all play an important strategic role. Regardless of your past experience with the MMORTS genre you will find that Soldiers Inc. delivers an enjoyable balance of simplicity, depth and graphics. A modern day military strategy MMO. Develop your outpost with a variety of buildings. Go on the offensive or defensive, play the way you want. In depth research system gives you an extra layer of choice. Free mobile and browser based.